Yousaf Hussain, has been appointed as CEO and President Faysal Bank for a period of three years by the Board of Directors of the bank. The move came after his two-month stint as Acting CEO at Faysal Bank. Before this, he previously served the bank as its Senior Vice President and Chief Risk Officer. He was given the additional charge of acting CEO and President of the bank in May 2017 after the departure of Nauman Ansari, who later joined Bank Alfalah as its President and CEO. The bank will now appoint a new Senior Vice President and Chief Risk Officer since the position has fallen vacant now. It may even remove the position in case the CEO believes that he can handle this task himself. 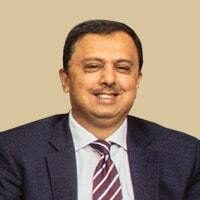 Like the outgoing President and CEO Nauman Ansari, Mr. Yousaf has been associated with Faysal Bank Limited for a long period of more than eight years since August 2008. He has gained vast experience in the banking industry, along with a diverse background in both investment banking and telecommunication sectors. Yousaf Hussain has over 22 years of professional experience in the banking industry. He primarily served at ABN AMRO Bank, where he held multiple senior managerial positions including those within the Corporate / Credit and Transaction Banking functions. He successfully carried out various projects at Faysal Bank, making a significant contribution to the franchise in his previous positions as Regional Corporate Banking Head-North and Head of Special Assets Management Group. His experience also includes a senior role with Samba Bank and earlier assignments with Mashreq Bank and Mobilink / Motorola. Mr. Yousaf has a Bachelor of Science degree in Electrical Engineering and has done his MBA from the Lahore University of Management Sciences. Faysal Bank K CEO Hone Ya Na Hone Se Awam Ko Kiya Faida Nuqsaan theek Usi Tarha : Is Article Ka Fiada ???? Kiya Howa Phir ?? ?